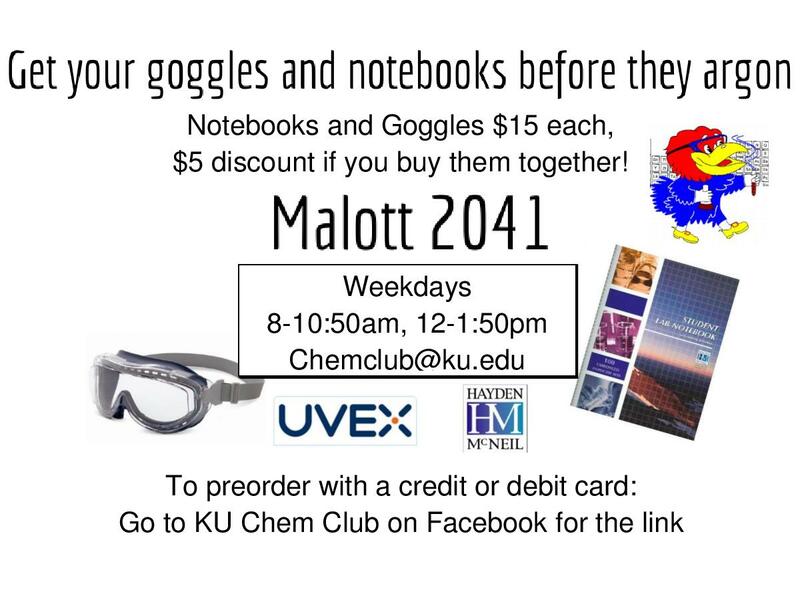 Lab Notebooks and Goggles Sale. Chem Club is the best place to get supplies for chemistry labs. Notebooks and goggles are $15 each and $25 together.